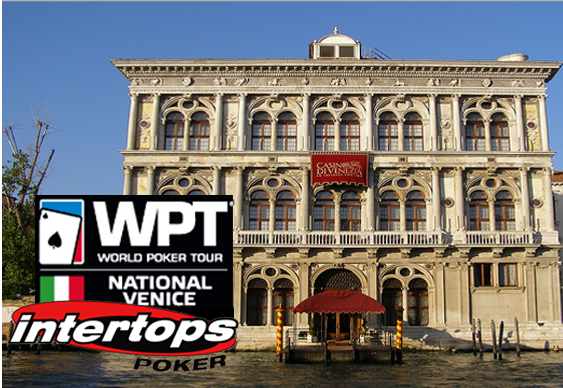 The WPT National Series heads to Venice next month and you could be there courtesy of Intertops Poker which has just launched a new qualification series with satellites starting from just $2+20c. The overall series winner will bag a package worth $2,200 including the €990 Main Event buy-in as well as travel and premium accommodation expenses. Step one satellites start at just $2+$20 an will run three times a day from today until 3 April. Three seats into Step 2 are guaranteed in each. Those second stage satellites also start today and have a buy-in of $10. At least one player will go through into the final from each of these daily events. Win your way to a live poker tournament in Venice. The $2,200 package will be awarded in a $100+$10 event on Saturday 15 4 April. The tournament itself takes place at the beautiful Casino de Venezia from 17 to 20 April 2015 and features a guaranteed prize pool of at least €200,000. Players at Intertops can give their bankroll a boost courtesy of a 100% bonus up to $100. Use the code WPT1 when making a deposit between now and Monday 16 March. There are more freebies on offer in a $350 freeroll which starts at 11pm GMT tonight.